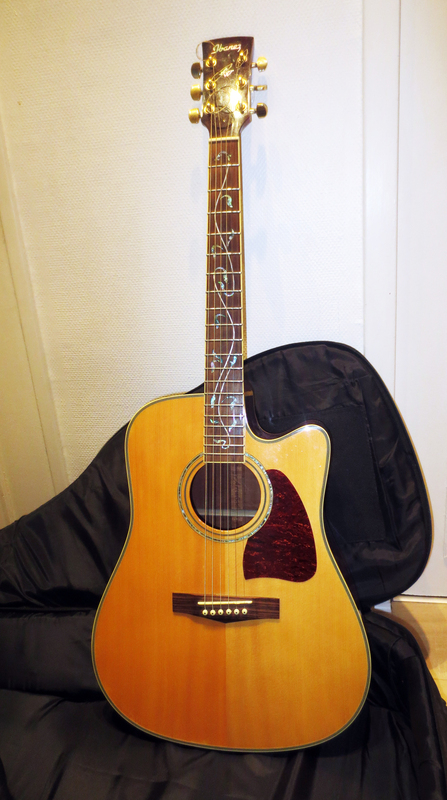 AW40ECE, Acoustic-electric Folk/Western guitar from Ibanez in the Artwood series. Fingerboard: Rosewood, taken "tree of life"
Access in acute correct (even if the vingtime fret is a little bow) facilitated by a dcoupe. it is a folk. good balance, sitting as standing. 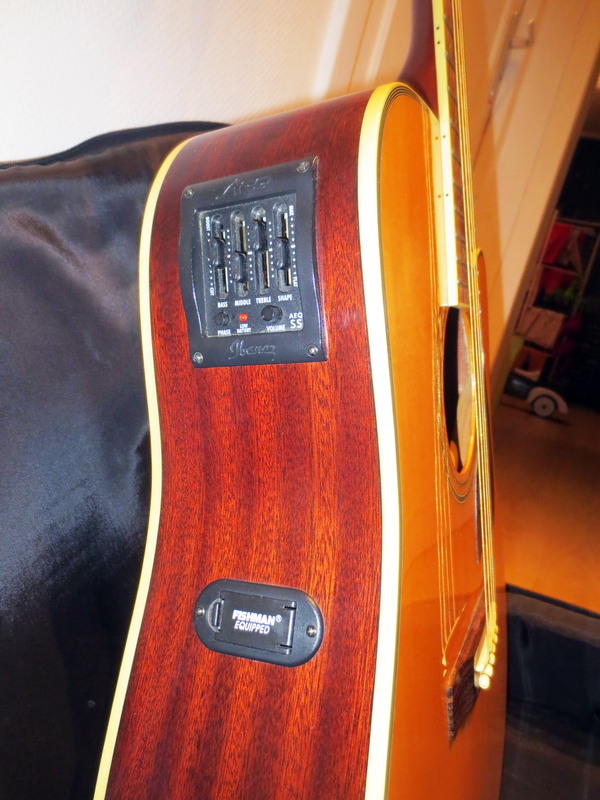 The AW40 a beautiful sound, but too rich mdium, which can rgler with graphic equalizer on the guitar, once branch. 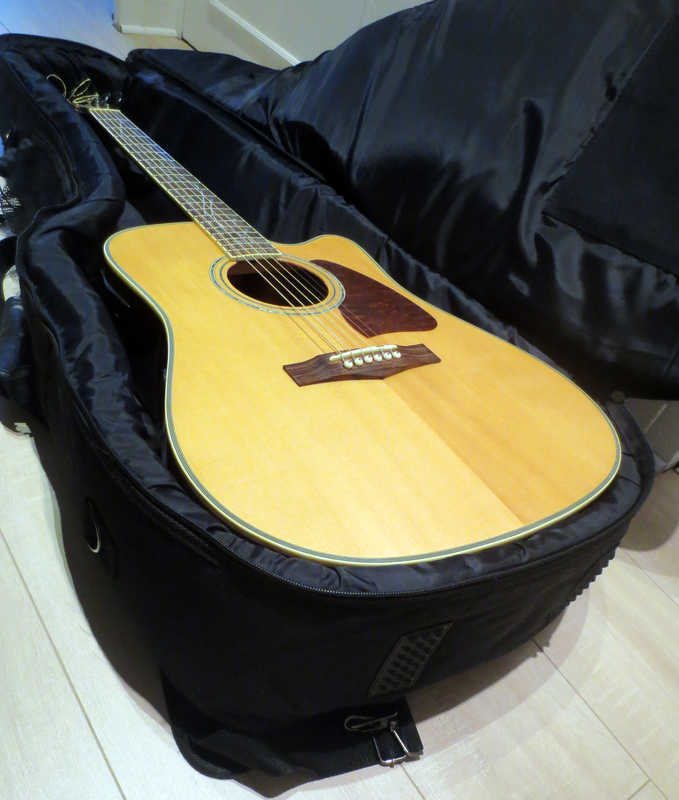 I bought this AW40CE 470 euros in September 2003 (the version just without cutaway acoustic and then stood at 335 euros). 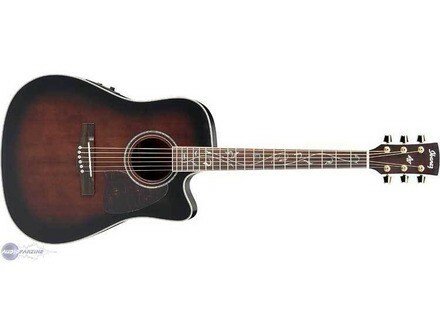 I could have the MODEL below the AW15CE for 385 euros, with the same CHARACTERISTICS, but with a more traditional finish. I do not regret my purchase. Fingerboard: Rosewood, included "tree of life"
Its fairly crystalline origin, mdiums hair on top, but (in my memory forever ...) the rich sound of bass and treble coming up any a. .. 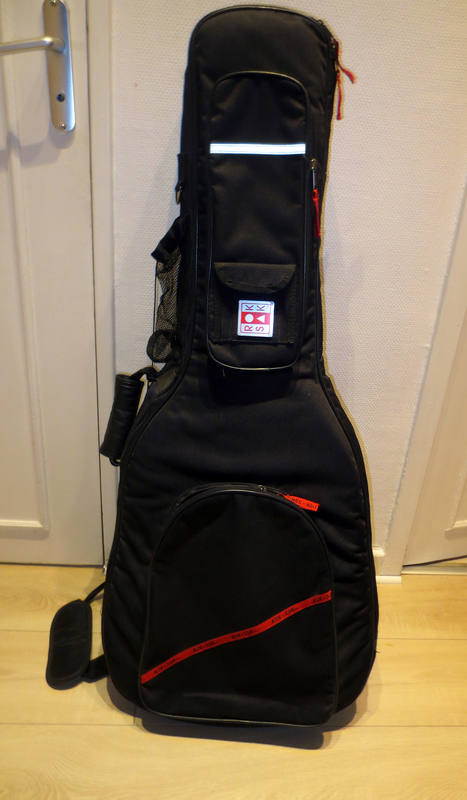 I tried many guitars before (Cort, Ibanez and Yam), but I stayed indcis. Too new to guitar to be able to choose on the technical side, I opt for Aesthetics! I will certainly support the purchase by that of an amplifier Ibanez Troubadour TA35, I would say that a given!